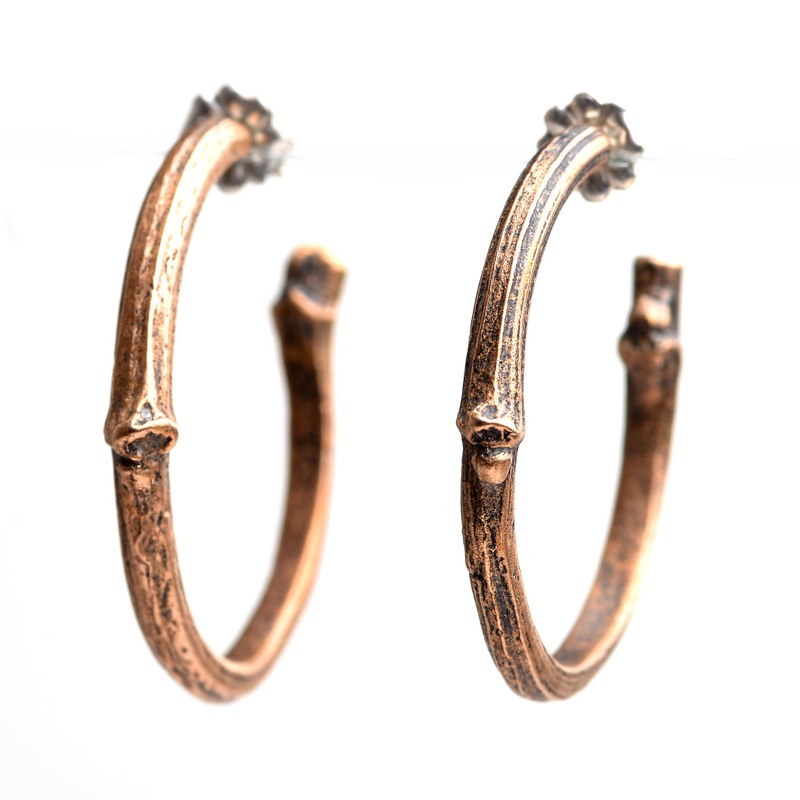 Twig hoop earrings in bronze. 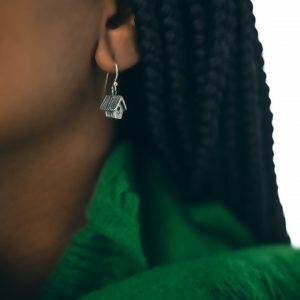 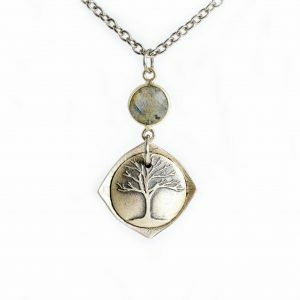 Jeweler Jason Janow believes in the early arts and crafts philosophy that craft-makers should use materials that are local and familiar to them. When he leaves the trout stream, his pockets are often filled with river stones and twigs. 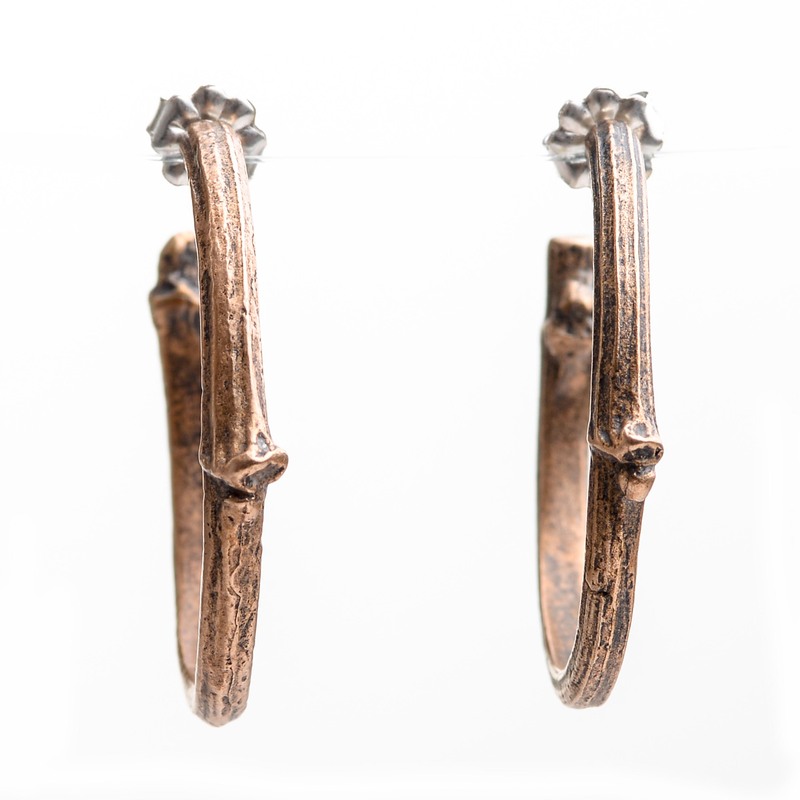 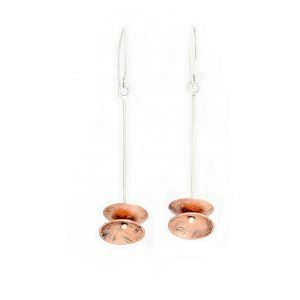 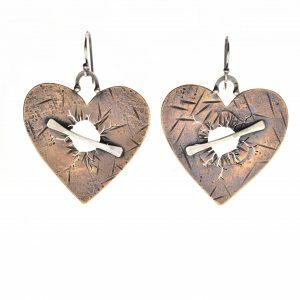 Back at his studio, they come together with precious metals and gems to form the designs he loves.